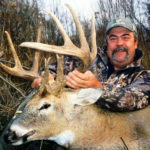 Editor’s Note: Ernie Calandrelli of Youngstown, New York, has been hunting deer with a bow for almost five decades and is the Public Relations Director for Quaker Boy Calls www.quakerboy.com. He’s hunted 37 states. 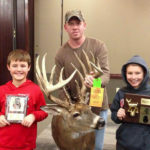 Today Calandrelli travels to hunt deer in Kansas, Georgia, New York, Missouri and Illinois. 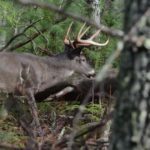 Most bowhunters choose one to five hunting sites, learn all they can about those areas and the deer that live there and hunt those same places for years. Calandrelli hunts many different states with his bow and thinks you should too. 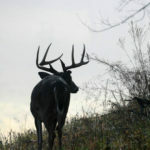 You’ll need to start planning now to get permits and travel reservations, identify the best regions for the opportunity to take big deer and order and study the many maps available, including Google Earth www.google.com/earth, Huntstand http://huntstand.com and OnX www.onxmaps.com maps. With your cell phone’s GPS, you can get to the sites where you want to hunt with Huntstand and OnX, even in regions with no cell service. Also MyTopo.com (www.mytopo.com) produces custom topographical maps, revealing where the high and low ground and water sources are. The aerial views can show you how much of the area’s forested, nearby water sources and any development not visible from roads. 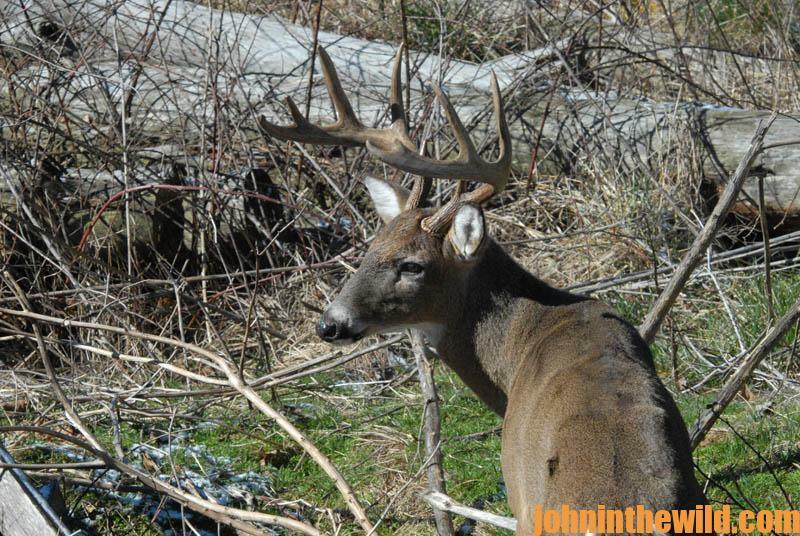 I’ve never taken a monster buck in Illinois, but I’ve taken quite a few bucks that would score 140 in Illinois. 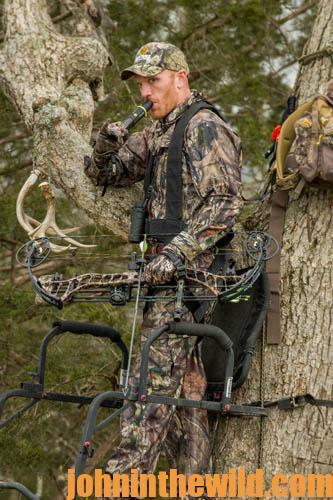 My favorite way to bowhunt deer is with a grunt call, because I like to see how the bucks react to it. If you talk to an avid duck hunter, you know that his biggest thrill is seeing a flight of ducks high in the air, being able to call those birds out of the sky and having them come into gun range as they prepare to land in the decoys. This feeling is the same one I get when I blow a grunt call, and a buck comes to me. 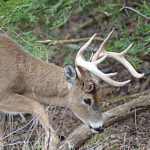 The biggest buck I’ve ever taken in Illinois was the 13th buck I had seen on an early-morning hunt. I don’t care who you are, or where you hunt. When you see that many nice bucks in a single morning’s hunt, you’ve had a great day, regardless of what happens the rest of the day. The place I had found to put up my tree stand had what I call a, “Main hub scrape.” Each one of the bucks that came in that morning went to that scrape about 30 yards from me and worked it. It was up the hill on the edge of an old logging road from me. I had placed my tree stand in this same area the year before, and I had seen some bucks there. When I was walking in to my stand site the first morning, I spotted a big, fresh scrape. The ground was torn-up and was about the circumference of half the hood of a pickup truck. I walked well around the scrape, so I wouldn’t leave my scent. Then I got in my stand. As soon as I got settled in my stand, I started seeing a parade of bucks. I was only in the stand for about 1-1/2 or 2 hours before this big-bodied 140-class buck arrived. He was almost right under me when I took the shot. I always aim in the lower 1/3 of the deer, since a buck often will drop down if he hears a bow fire. By aiming at the lower 1/3 of the deer’s body, if he doesn’t drop down to spring or jump, the arrow still will hit him in the kill zone. If the buck does drop down to jump, I’ll generally center punch him with my arrow. I could tell by the body language of this buck that he was somewhat nervous and unsure of what was going on before I took the shot. I didn’t know whether he would drop down at the sound of the bow or not. But for me, aiming at the lower 1/3 of a buck always had paid off. My arrow hit the deer perfectly, and the buck only went 30 or 40 yards after I hit him. Of the 13 bucks I saw that morning, this buck was the biggest one. 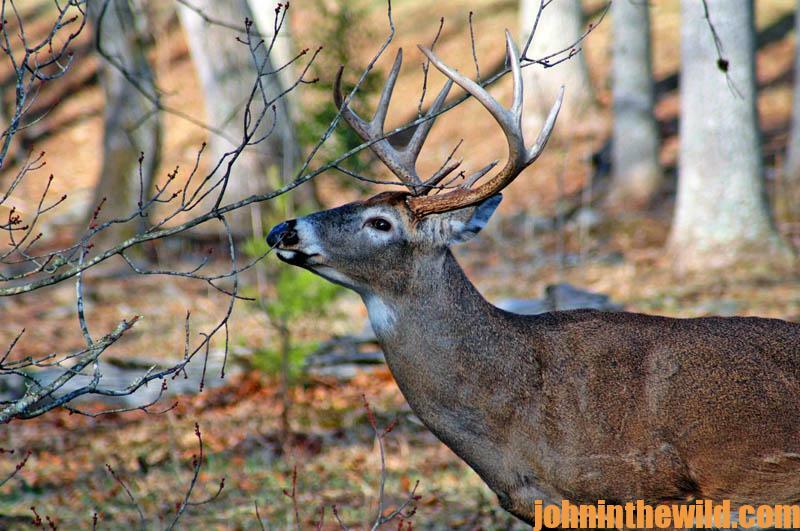 In most other states, several of the bucks I passed on would have been shooters. 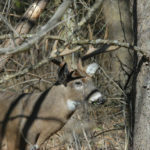 To learn more about hunting deer with John E. Phillips’ Amazon Kindle eBooks, print books and Audible books and Nook books, click here at http://johninthewild.com/books/#deer. You can type in the name of the book and download it to your Kindle, and/or download a Kindle app for your iPad, SmartPhone or computer. For a free download on how to make jerky from venison to provide a protein-rich snack, choose “How to Prepare Venison Jerky: The Ultimate Snack Food” at https://www.emailmeform.com/builder/form/Ece3UZVcOo52cKPJcL.